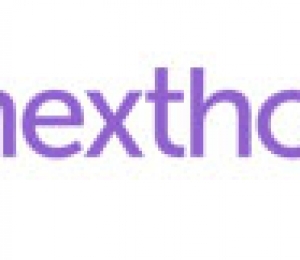 By Judy Hazan | March 30, 2015 on Epoch Times. Castle Group Developments is not your typical builder. With Mona Bhamani at the helm, there’s nothing typical about their condominiums or about their business style. Bhamani has several Toronto condominiums under her belt. Her approach is to create one exceptional building at a time allowing herself and her team the ability to focus all of their attention and talents on a single project, as opposed to other builders who might have a half dozen condos (or more) on the go at any one time. The company’s strength lies in boutique-style buildings. Their very first building, Bellair Gardens at York Mills, was the winner of the Greater Toronto Home Builders Association Awards (now BILD) for Best Building Design, Best Suite Design Under 750 sq. ft. and Best Suite Design Over 1500 sq. ft. (2004). Tuscany Gates in Mississauga is a 20-storey high rise community that Castle Group Developments built to replicate the great villas of Tuscany. Their boutique condo The Palm in downtown North York is an amenity-rich residence steps from Finch subway. Epoch Times recently spoke with Nizar Walji, vice president of Castle Group Development and Harley Nakelsky, vice president of Baker Real Estate about Castle Group’s newest project: Vida at Bayview and Sheppard in North York’s sophisticated Bayview Village area. Vida is an intimate building, just eight stories. Suites at Vida feature expansive windows, gourmet chef kitchens with fine-crafted cabinetry, lavish bathrooms with imported ceramic tiles, and spacious closets. In a three, six and eight-storey steeped design, Vida offers suites in studio, one-bedroom, one plus den, two-bedroom, two plus den, and three-bedroom configurations. As well, every suite has a balcony or a terrace. “They are not typical balconies in the suites. Some have full-length balconies. Some have terraces. We offer The Terrace Collection on the upper floors of the building (as well as on other floors where the architecture steps back) with suites that offer spacious terraces that extend the living space outdoors,” says Nizar. Sizes of the suites at Vida range from 332 to 1,600 sq. feet with prices from $199,990 to $1 million. Vida, as well as Castle Group’s other condominiums, has been designed by HCA Architecture, a group with a strong background in the design of hotels. “HCA brings hotel glamour to our condominium designs—and they create, with Mona’s vision, condominiums that share many of the features of upscale hotels,” says Walji. Vida features a dramatic arched entranceway—a porte cochere off Sheppard Avenue that provides an impressive sense of arrival. Amenities offered include a Wi-Fi lobby lounge, party room, outdoor dining and BBQ area, fitness centre, sports bar, and retail shops and services on the ground floor. Vida is located directly across the street from Bayview Village Shopping Centre, one of the city’s most upscale shopping destinations with more than 100 luxury retailers, gourmet grocers, restaurants, and cafes. Yonge Street is only a 10-minute walk away and offers a variety of cultural and entertainment options with the Art Gallery of North York, Toronto Centre for the Arts, and movie theatres. Nearby hospitals include Sunnybrook and North York General. But perhaps Vida’s most important feature is its proximity to the subway. The Sheppard subway line is just steps away from the condominium’s front door. Residents can be whisked by the red rocket anywhere in Toronto in minutes. The need for a car therefore is completely optional.  For people who do have vehicles, Vida offers almost instant access to Highways 401 and 410 and Don Valley. Finishes for Vida will include plank flooring, granite counters, stainless steel appliances, and a wide choice of upgrades. Vida is the perfect condominium choice for end-users and investors alike. It offers unlimited rental potential due to its subway location and proximity to North York General Hospital and other large employers in the area. For more information about Vida, please contact www.vidacondos.comor call 416-304-1212. Judy Hazan is an experienced writer for the real estate industry based in Toronto.